Tiling outdoors opens up a world of possibilities to add charm to your home. 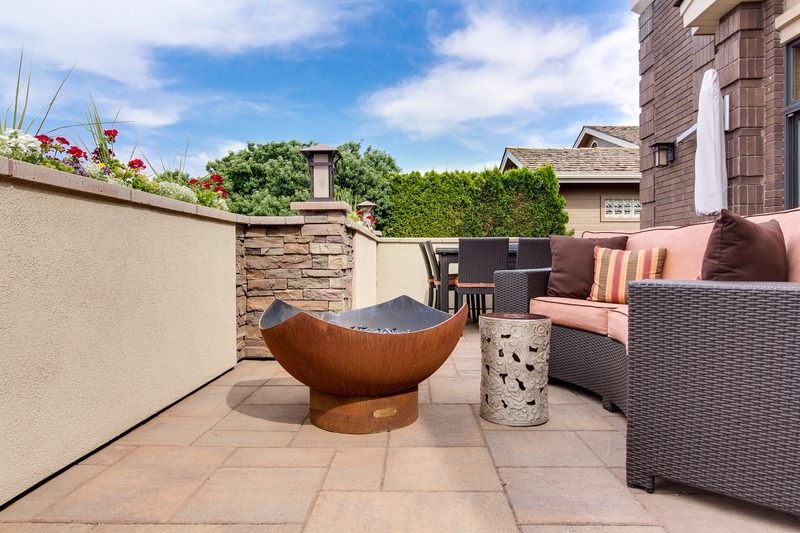 Wondering where you can use outdoor tile? 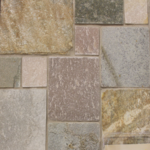 Sidewalks, steps, patios, pool areas, outdoor kitchens, and BBQ pits come to life with the addition of textured, colorful tile. But when it comes to tiling these spaces, what’s the best choice for outdoor tile? Our experts at St. Louis Tile will say, unequivocally, you can’t beat the benefits of porcelain tile for the outdoors. Outdoor tile needs to hold up in all kinds of weather, especially in the Midwest. Extreme heat and cold, snow, rain, and freezing rain are issues with which we have to consider. The Porcelain Enamel Institute has a scale—PEI ratings—to assist homeowners in selecting the best tile for the job. 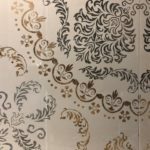 Porcelain tiles rank 5 on a 1 to 5 scale, indicating its resistance to wear. This also makes it scratch-resistant, so if you drag heavy items across your patio (or your kids do), your tile won’t take a beating. When it comes to water, ANSI—the American National Standards Institute—has moisture absorption ratings for tile. They have four ratings to indicate how much moisture a specific tile will absorb on an ongoing basis. This is important because tile can crack if it absorbs too much water. For outdoor applications, you want tile that absorb very little water. Impervious is the rating you’re looking for. With this rating, tile absorbs moisture at 0.5 percent or less. An impervious rating also makes it less likely your tile will absorb food and drink stains—always a good thing if you use your outdoor spaces a lot. If you aren’t sure about your tile’s rating, go ahead and ask the professionals at St. Louis Tile. Since outdoor surfaces must hold up to all kinds of wear and tear—foot traffic, furniture, BBQ grills, and plants being dragged across them—porcelain’s natural density (hardness) makes it ideal for outdoor installations. Be sure to select tiles that are fired with color all the way through, not just on the surface. This way, if your tile does scratch, it’s much less obvious. Slip Resistant or Just Plain Slippery? Not all porcelain tile is naturally anti-slip. Look for tiles with texture and grip. You can often tell just by touching the tile to know how slip-resistant it is. Remember, slick surfaces when dry equals very slippery when wet. You don’t want your kids or the mail carrier taking a tumble on your newly-laid outdoor tile so be sure to keep this important detail in mind. 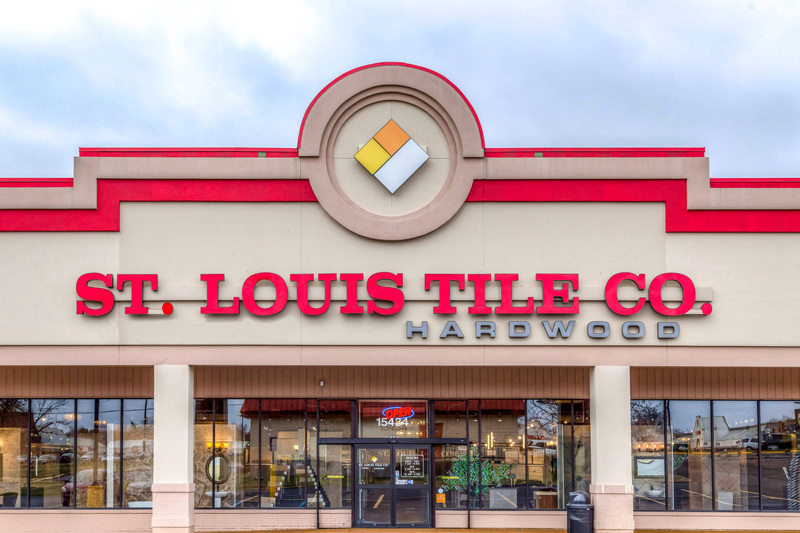 St. Louis Tile Tip: When it comes to overall cost, it’s far more economical to purchase the right tile the first time – make sure the tile you choose meets PEI and ANSI ratings. Not sure? Come see us! Because of its water and scratch-resistance, porcelain tile is very easy to care for. Sweep your outdoor tiles every few days to remove leaves and other debris that could stain. Mold and mildew are the biggest culprits for outdoor tile so it’s good to mop once a week with a non-toxic cleaning solution—better for pets, kids and critters. Then remove most of the water with a second dry mop to avoid hardwater stains. Once a month, you can do a deeper cleaning with ¼ cup of vinegar and two gallons of water. Vinegar won’t hurt your tile, but it can affect grout. Because of this, be sure to keep a low ratio of vinegar to water, then rinse your tiles with clean water. Also, avoid abrasive brushes and detergents as this can remove the protective coating on porcelain. When it comes to outdoor tile installation, there are a lot of details to keep in mind. 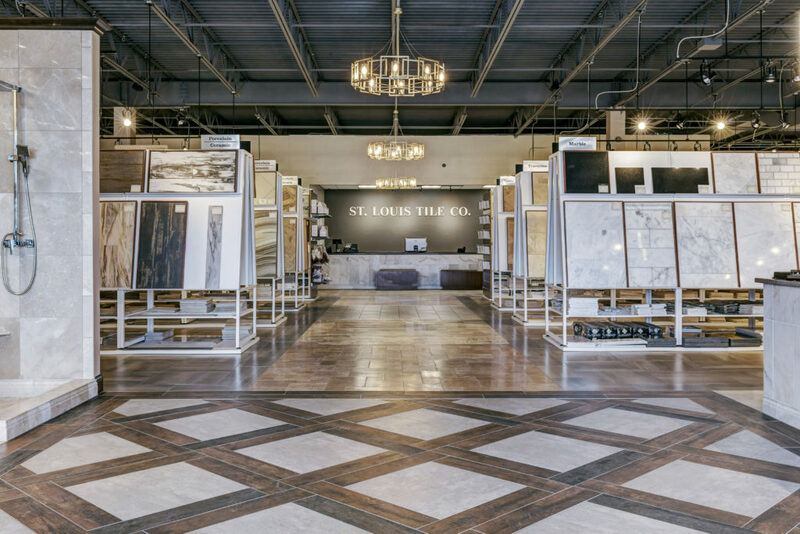 If you don’t know where to start, feel free to consult the experts at St. Louis Tile. 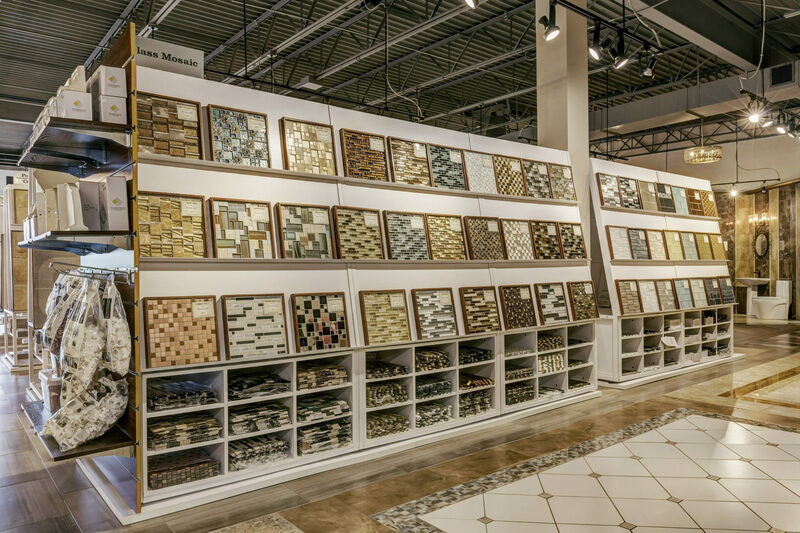 With one of the largest in-stock tile and supply selections in St. Louis, we’ll get your project started the right way, and with the right kind of tile—including the best choice for mortar and grout to keep your tile looking its very best for years to come. We’re here seven days a week and love to help homeowners, interior designers, contractors, and installers.